We published this story in this year's spring edition of Hope Notes. Shortly thereafter, violent political protests broke out in Bujumbura, the capital of Burundi. Please keep these vulnerable communities in your thoughts and prayers as the nation waits for peace and stability to be re-established. 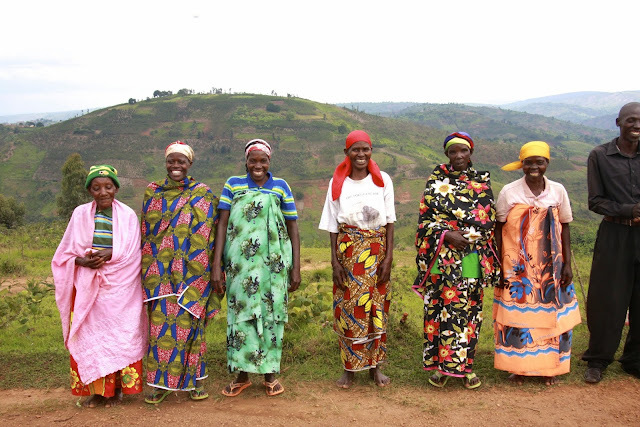 Meet the communities of Kabarore, Burundi. The people of Kabarore, Burundi are very much like you and me. They want to live peaceable lives and care for their neighbours. They want to send their children to school, earn a fair wage, eat healthy food, live in secure homes, and have hope for the future. Unlike you and me, however, the people of Kabarore have suffered dramatic losses as a result of the 12 year ethnic-based civil war that raged across Burundi from 1993-2005 with uncanny parallels to the Rwandan genocide. Just two and a half hours (132km) north of the capital city, Bujumbura, Kabarore was one of the hardest hit regions of Burundi. The prevalence and depth of poverty people experience here is a direct result of that devastating conflict. But recently, there have been glimmers of hope that signal the dawning of a new season for this cluster of communities tucked snugly into the rural mountainside. From 2008 - 2011, Food for the Hungry (FH) Burundi initiated an environment protection project in Kabarore. The steep hillsides pose a daunting challenge to food security because of extreme soil erosion. FH taught local farmers how to create “radical terraces” and increase the spread of soil-retaining grasses. As a result, coffee farmers saw rising yields from two kilos per square foot to seven kilos per square foot! The money earned from the sale of increased cash crops, and the ability to harvest more food crops, enabled project participants to go from eating one meal a day to two meals a day — it doubled their food intake! This experience helped the people and leaders of Kabarore to see that change is possible, and that they already possess many resources needed to transform their circumstance. Now, they just need someone to walk alongside them to give that initial boost of training and encouragement. That’s why, this year, FH Burundi and Kabarore have embarked on a 10 year partnership with the goal of becoming a self-sustaining community. To accomplish this, FH staff together with Kabarore leaders put together a development plan that encompasses every area of life. Child Sponsorship support is a critical piece to the success of this bold undertaking, and many challenges still lie ahead. Job opportunities remain limited in Kabarore. Most people are subsistence farmers, generating only enough food for themselves but still struggling to make ends meet. Many poor families survive by selling their labour as casual workers, paid at just $1 a day. In addition to material poverty, social and political life is also strained. The people of Kabarore belong to three different ethnic groups — Hutu, Tutsi, Batwa — that have been in fierce conflict for decades. Regional political instability has meant short-term vision for both religious and local leaders — caring for the long term needs of children is not on their radar. And the children do, indeed, have unmet needs. Though parents in Kabarore, like parents in Canada, long to see their children thrive, they are hindered by poverty. Prevented from offering their kids basic nutrition, health care, and education, parents could really use a helping hand. Poverty and hunger at the household level push many children to child labour. Those that do attend school have to crowd into classrooms that host up to 80 students at a time, with a noticeable lack of desks and textbooks. Teachers are few and often have little training, support, or motivation. Frequent illnesses and dirty classrooms (due to a lack of clean water at schools) contribute to an unhealthy learning environment. All these conditions understandably result in low school attendance, low performance, and high dropout rates. With these daunting challenges in mind, it can be hard to imagine a way out of poverty for Kabarore. But, with the helping hand of FH Burundi supported by Canadian Child Sponsors, there is an imminent glow of hope on the horizon of Kabarore that grows brighter every day — hope not only for children, but for their entire community. In partnership with FH, parents will be invited to join Savings and Loans Groups where they can learn financial literacy, create small businesses, and accumulate capital. Through agricultural training, farmers will receive superior seeds, learn more effective growing techniques, and join supportive co-ops. With the increased income and financial stability gained in this process, parents will be able to afford to feed their children a more nutritious diet, buy them medicine when they get sick, and pay their school fees year after year. FH will work with Kabarore to build new classrooms and equip them with appropriate teaching aids. Families will receive encouraging home visits from FH staff. Through Cascade Groups, women will be empowered to take ownership of their communities’ health by learning and teaching basic hygiene, sanitation, and disease prevention to their neighbours who, in turn, will train more groups of women with the same health lessons. And to safe-guard all these efforts, FH will help train local community and church leaders to support and protect their communities, especially in the area of environment protection. All this flourishing will be nurtured by a global community of Child Sponsors who give money, time, encouragement, visits, and prayer to the children and families of Kabarore. So what can Kabarore families expect their lives to be like ten years from now? As they peer over the fence at neighbouring Kayanza (where FH has been at work for eight years), they are getting a pretty good picture of how dramatically daily life could change. Together, we are re-imagining a future that looks very different from their past. Imagine with us a Kabarore where parents dream big for their kids, reap abundant harvests, feed their families, and have surplus left over. Imagine healthy homes with access to clean water and an improved health system. Imagine a Kabarore where both women and men engage in Savings and Loans Groups, run small businesses, and manage their own finances. Imagine families where husbands and wives commit to their children and help their neighbours along. Imagine a Kabarore where schools are equipped to provide a quality education to all children, and parents are positioned to fully support their children’s education — for both girls and boys. 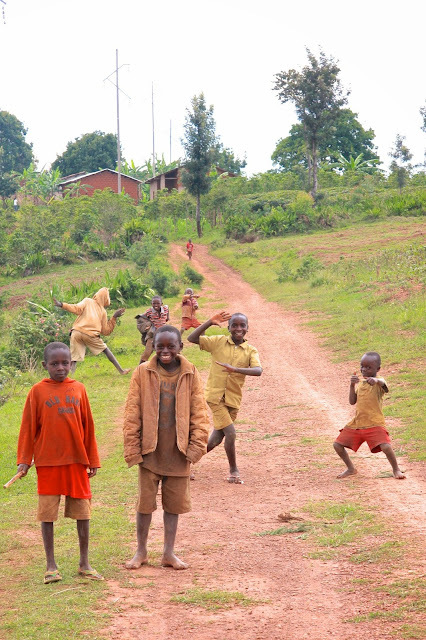 Imagine a Kabarore where every child knows and feels that they are loved and valued by God and their community. Sound like a pipe-dream in light of where they are now? Difficult, maybe, but we still think it’s a dream worth pursuing, a dream worth achieving. Kabarore may be a community shrouded in the ashes of past civil war and present poverty, but out of the ashes, they are rising.